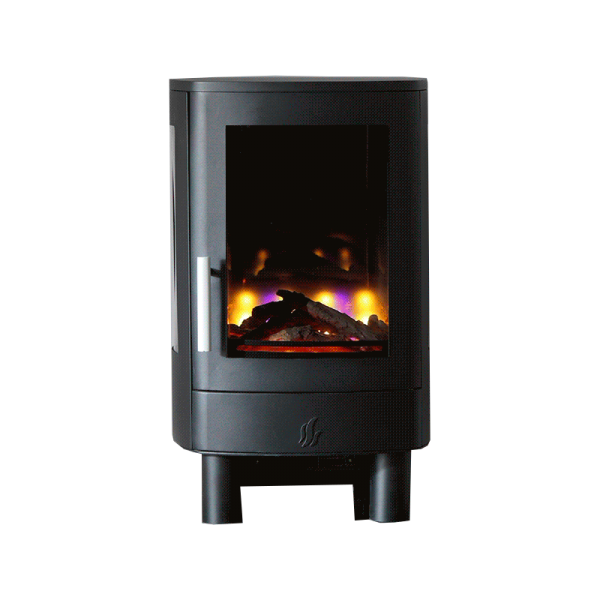 The NEO3F Electric is a contemporary styled stove with the distinctive feature of two side window panels allowing the flame effect to be viewed from the sides as well as the front of the stove. 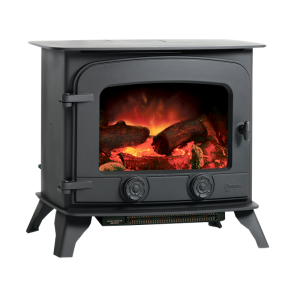 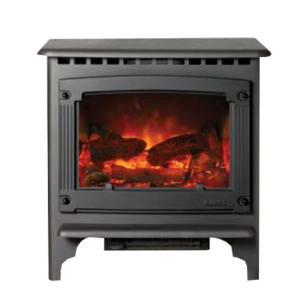 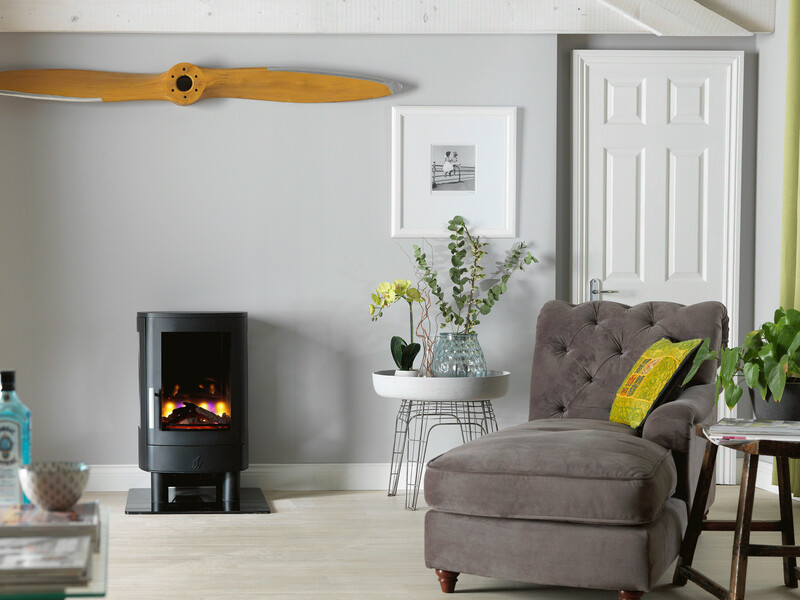 Manufactured from high quality yet lightweight steel and finished in a matt black powder-coat finish for durability, the NEO3F Electric stove has the option of 1 or 2Kw heat output along with the option to have just the flame effect only, making it the perfect choice for enjoying the ambience of a real fire without any heat for warmer evenings. An optional decorative flue pipe kit, black glass top and a choice of black glass hearths are available to complete the look.